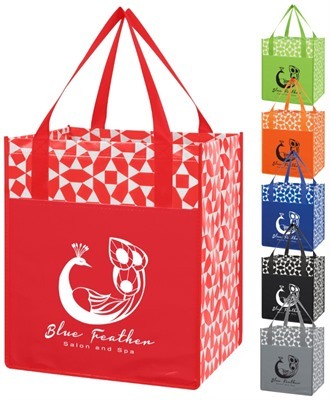 Geometrical Shopping Tote Bags make a brilliant promotional tool for any business, especially for grocery and bookshops. Aside from their large compartment, these bags also offer a large printing area for your logo and name. Your recipients will sure get excited to receive these valuable gifts, which are also reusable, recyclable, and easy to carry.